Before a franchisee makes the decision to invest in a franchise, they must thoroughly read the Franchise Disclosure Document (FDD). This document is typically provided to the franchisee by a franchisor once the franchisee has completed and submitted in their application. The FDD contains extensive details about the franchise system and franchisor’s expectations — broken up into 23 separate parts. Don’t let the length intimidate you. 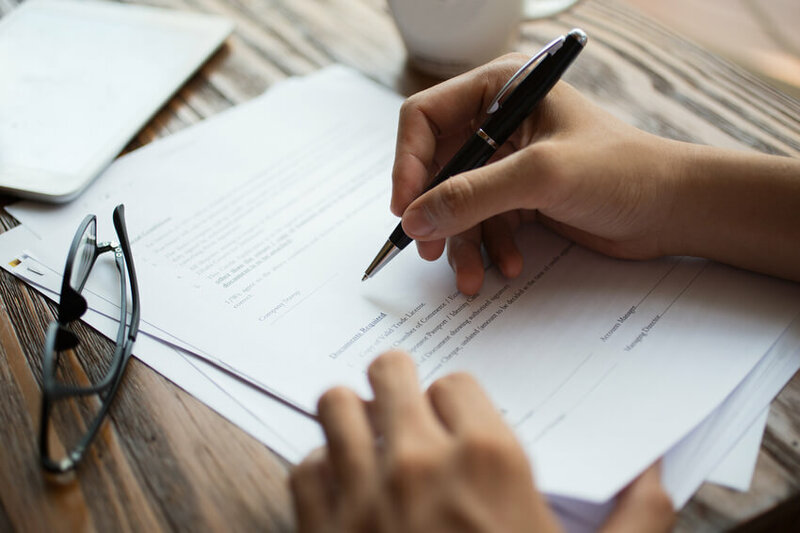 If you’re serious about owning a franchise, it’s critical that you meet with a legal professional to read and review the document together before proceeding. While we won’t rehash in verbatim every single detail of the 23 parts, we have broken down each section into groups of five (or less) with key areas to pay attention to while reading the FDD. Items 1 and 2 provide further insight into the franchisor’s background and experience, sharing details such as how long the franchisor has been in business, the history of the company and its competition, and professional information about executives behind the franchise system. Item 3 covers litigation history and discloses whether or not the franchisor or any executives have been convicted of felonies. Bankruptcy, if it occurred to the franchisor or its predecessor, is thoroughly reviewed in Item 4. Once you’re caught up on the backgrounds behind the franchisor and executive team, Item 5 takes us in a different direction. This section covers initial and ongoing costs for starting and operating a franchise. Some of these costs, like franchise fees, the franchisee may already be aware they must spend money on, but others such as the grand opening and training expenses may come as a bit of a surprise. Outside of the help of a legal professional, you may want to enlist the assistance of an accountant. They can help estimate expenses for your franchise business and determine a timeline for when you may expect to begin breaking even. Recurring fees, known as “other fees,” are listed in Item 6 and Item 7 tackles the initial investment the franchisee must make in the franchise. If the franchisor has restricted the sources of products or services (like suppliers that you can and can’t purchase products from), this will be covered in Item 8. Item 9 examines the obligations the franchisee has agreed to, typically displayed in a reference table format. Item 10 summarizes any financing arrangements that the franchisor has offered to the franchisee and their terms and conditions. Any services, like training or advertising programs, that the franchisor plans to provide the franchisee are described in-depth in Item 11. If franchisees still have questions about the training programs, such as how long the sessions will last and the costs, they are encouraged to ask the franchisor once they’re done reviewing the FDD. Item 12 describes whether or not the franchise has any exclusive territory and Items 13 and 14 provide further information into how the franchise’s trademarks, copyrights, and patents may be used. Franchisees will find out in Item 15 if they are obligated to participate in the franchise’s actual operation — that is, be a part of the day-to-day business. Further restrictions on what franchises may offer its customer base are outlined in Item 16. For those franchisees curious as to what renewal qualifications or terminations may look like for their franchise, this is detailed in Item 17 along with transfer and dispute resolutions. If your franchise decides to use a public figure, like a celebrity or influencer, to endorse the business the amount they are to be paid is covered in Item 18. Item 19 touches on unit financial performance of the franchise, but is not necessarily required information from the franchisor. Item 20 might not seem like much — the contact information and locations of existing franchises — but it is certainly important for franchisees. Before investing in a franchise, franchisees are encouraged to contact current and former franchisees and meet up together. Doing this gives them extra insight into what the business is like and if these franchisees have a solid relationship with their franchisor. That relationship — or lack of one — can make or break whether the franchisee purchases their franchise. As the FDD comes to a close, the final three items are primarily financial documents and signed agreements. Financial statements from the past three years are kept in Item 21. You may benefit greatly from having an accountant review these alongside you, as these statements will show evidence of the franchise’s ability to grow over time. All agreements that franchisees are required to sign may be found in Item 22 (“Contracts”). Lastly, Item 23 contains the finishing touch — the signed receipt from the franchisee stating that they received the Franchise Disclosure Document.